Whether you’re a personal representative or a beneficiary, Douglass Simon Solicitors can look after the administration of both testate (Will) and intestate (no Will) Estates. 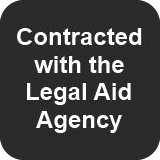 We can obtain grants of probate or letters of administration and act as professional Executors. We can also assist you with selling property. We understand that this may be a difficult period in your life. This is why we believe in providing you with straightforward, practical, timely advice and service. We can deal with any estate or legal issue, no matter how complex, in the most sympathetic and efficient way. Our solicitors have specialist knowledge in handling all aspects of Estate administration and provide both a professional and personal service. We offer compassionate and sympathetic advice to ensure that the process from start to finish is dealt with in the most efficient manner possible. Our aim is to lift the burden of Probate from our client in a cost-effective manner. Referring to (and agreeing) with our submissions in the Grounds of Appeal (and described orally in proceedings as “innovative”) that the Home Office practice of administratively returning EEA applications on account of insufficient evidence but falling short of making an “EEA decision” in order to bypass the right of appeal in Regulation 26 of the EEA (Imm) Regulations 2006, is unlawful (ultra vires). Immigration Judge M Symes in the First-tier Tribunal in allowing an Appeal which involved consideration of Paragraph EX.1 of Appendix FM, Human Rights and other discretionary factors.